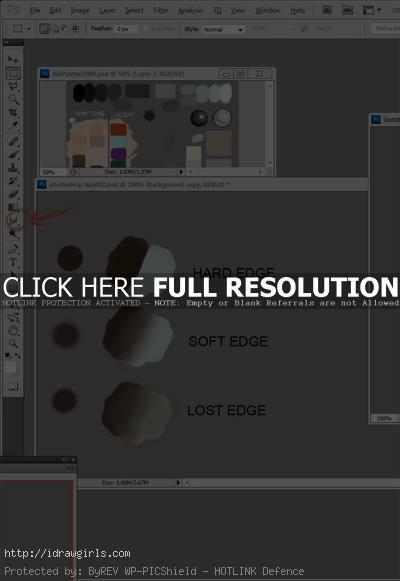 Photoshop painting tutorial smudge tool, using smudge tool in Photoshop for digital painting. 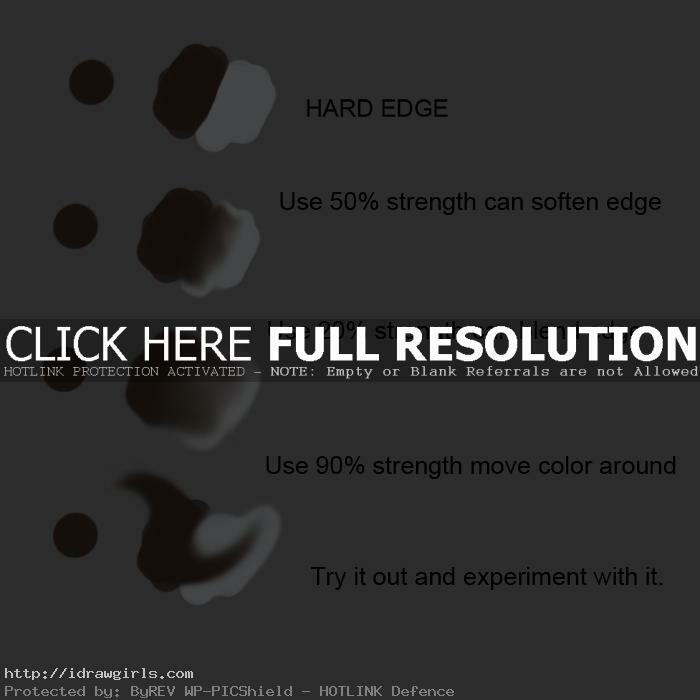 This post I am going to show you guys some trick and tip on smudge tool. A lot of artists love it, but I only use it from time to time. Mostly if I want to soften the edge or blend value, I reply on soft brush (default round in Photoshop). It can create effective enough result for me and it is fast. Since I don’t have much patience, I often lack of attention to detail in most of my painting. As you see in most of my videos, I love painting fast and just get the point across as conceptual piece. Once in a while I will spend days doing finish painting. For some professional illustrators, they are all about attention to detail and a lot of precision. And smudge tool is one of their best friend because of the control and precision it can offer. It can though take quite a long time to get exactly what you want, but it will you get the result. 1) In figure 1, it shows you where the smudge tool locate. Right in the middle of vertical tool bar. In figure 2, it shows you my horrible scribble. #1 is, of course, smudge tool. I have no idea why I highlight circle that again. #2 Brush selection, click left or right on your Wacom pen (depending on where your setting) then select soft brush (default) for testing purpose. You can actually use any brush you desire with the smudge tool. You will have to try them out and see which gives you the best result. #3 Brush selection window and size. #4 is indication of how strong your smudge is going to be, the higher it is the more dragging power it will get. In figure 3, I did a sample demonstration using smudge tool to create type of edges. If you want to know why these type of edges are important in painting and illustration, go read three important rules for painting (there are actually more then three, but this is the starting point. If you can remember this and get it right, you can add on other technique to make your painting better) and Digital painting using custom brushes in Photoshop. OK. now I used hard round brush to create the first blob of paint with two contrast color. On the second blob, I used smudge tool with 50% or below strength to create soft edge. If you use more strength then the edge will be stronger (hence harder). On the third row, I try to use smudge tool to blend the whole blob with 20% or lower strength. I could have done a better job. Then the last one, I use 90% strength. Did you see what it does? It drag the darker color from one side to the other. It can do the same on the other side also. 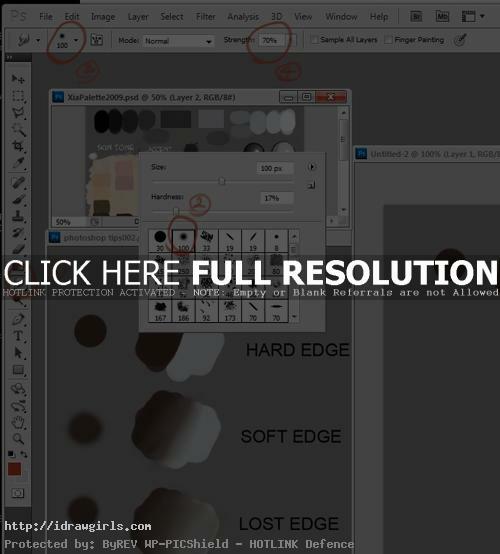 Smudge tool can be a very good tool to manipulate shape and get the precision on your edges. I believe more so than just regular hard and soft brush. You can make the brush size smaller and get down in to the detail with less mess than most brush tools. Now, you can go try it out. You never know it might be one of your favorite tool. Yes you can set brush opacity and layer opacity. Useful with blending that would be edges and you have to use soft brush. It has nothing to do with opacity. If you are talking texture blending, that would be overlay. You might want to re-read the whole post. It should explain everything. does photoshop also have a setting for opacity (separate from strength) that would help with blending? is that a useful thing at all?